With summer just around the corner (officially) also comes hurricane season and the need for emergency preparedness. This from AT&T… No one knows when the next tropical storm or hurricane will hit the coastline. 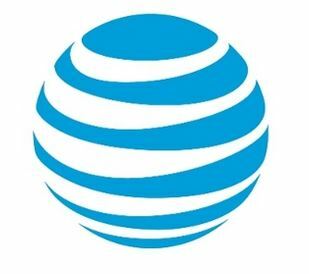 But, AT&T is prepared with one of the nation’s largest and most advanced disaster programs. It invested more than $600 million in the Network Disaster Recovery (NDR) program, this includes planning for pre-storm network preparations and the preparation of Response equipment. Here we are again with hurricane season upon us and just in time to monitor the extreme weather, Esri has shared a story map to help monitor Tropical Storm Erika. This interactive map features live data from NOAA showing Erika’s projected path, as well as storm watches, warnings, and storm surge information. You can also explore geotagged social media from Twitter, Flickr, and YouTube related to the storm. Stay safe this season to all of our friends who live and work in hurricane prone parts of the country! Hurricane season is well under way as the traditional North Atlantic hurricane season began on June 1. As soon as the weather alerts start coming in about tropical storms its natural that interest in previous tropical storms will heighten and for good reason. Many of us flock to the site to check out historical paths of storms and hurricanes to see if they match up with current activity. This can be accomplished by using one of my favorite resources from NOAA, the Historical Hurricanes Tracks web. Using the site you can easily search by geographic location to view all the past storms conveniently color coded by strength. Note, you can also easily save and share storm paths of interest, for example, this link which takes you to the path of Andrew in 1992 – handy! 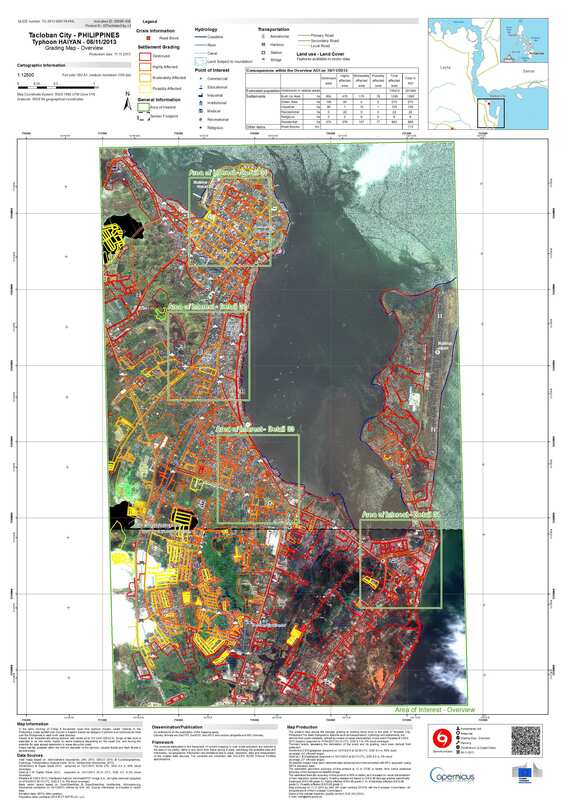 Some of the first damage assessment maps from the Philippines have been released. According to e-GEOS, The Emergency Crisis Room was activated at 6:00 UTC on November 8, since when some 30 maps have been produced by the combined efforts of the e-GEOS Emergency Management Team, with others from GAF in Germany and ITHACA in Turin, with 25 people working day and night – e-GEOS is the Service Provider of the Emergency Management Service funded by DG Enterprise within the Copernicus Programme. It’s been one year since Sandy struck the Mid-Atlantic and Northeast coasts with powerful winds, rain, and storm surges that caused unprecedented damages in some of the nation’s most populous areas. The latest Esri story map is a handy resource that reveals the latest pre and post Sandy imagery from NOAA. Using a slider action the user simply drags the red line to delineate where the pre and post imagery will be determined… amazing to see the destruction from this terrible tragedy. The map shows NOAA imagery before and after Hurricane Sandy and lets you swipe over the map to view storm damage. You can also use the included bookmarks to explore some of the most damaged areas in the Mid-Atlantic and Northeast.